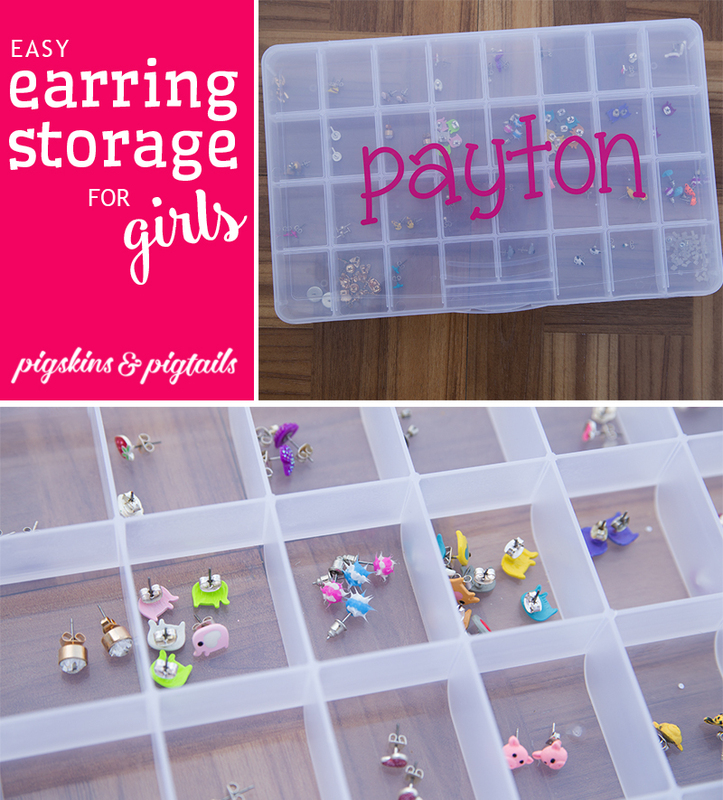 I personalized these craft storage containers for the girls to keep up with their growing earring collections. I added a fun name decal to personalize their boxes. (Available here) In one of the compartments, we keep extra earring backs which comes in very handy!